This excellent herbal formula is traditionally used by adults to stimulate blood circulation and to break up blood stagnation and clogging. It promotes healing of injured blood vessels, dispels heat and reduces swellings in cases of trauma or sport injuries. 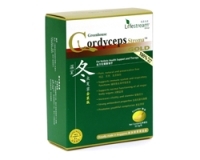 Each capsule contains 375mg of the extract comprising American Ginseng (50%) and Tian Qi (50%). 2 capsules to be taken 2 times a day after meals. 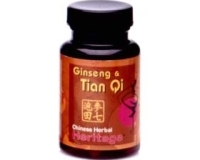 Chinese Herbal Heritage Ginseng & TianQi is manufactured in Singapore according to stringent protocols and, is registered and approved by Health Sciences Authority, Singapore.